We left off the stripes (and pockets) on this version. We also experimented with knitting the DK weight Felted Tweed at a worsted gauge of 17 stitches/4 inches. 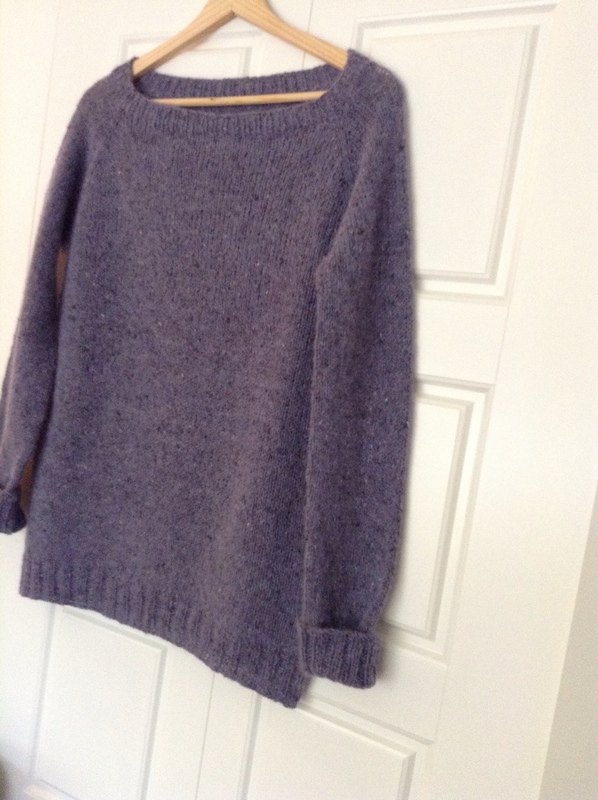 The result--a cozy light-as-a-feather pullover with beautiful drape. Details here on our Ravelry Project Page. 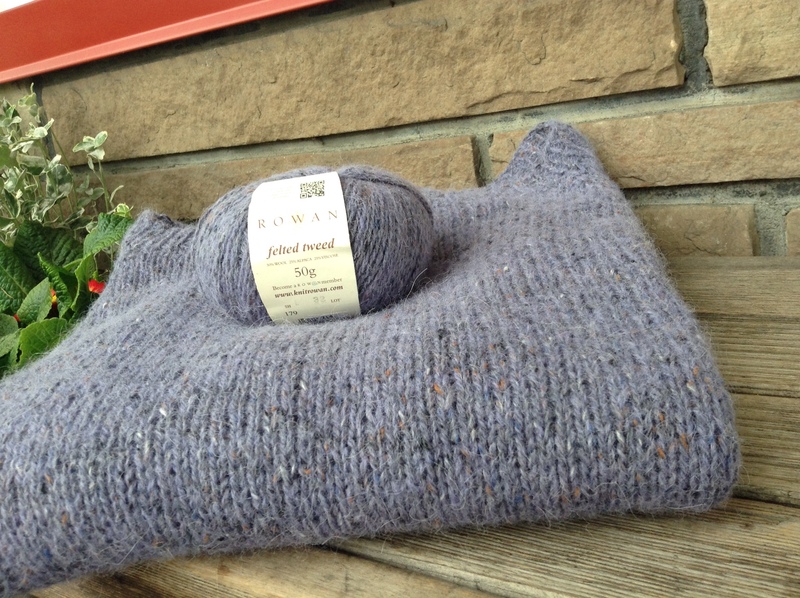 Spring Lines, Size M, knitted with Rowan Felted Tweed, 5 balls.